Samsung launched new 4 GB RAM powered smartphone Galaxy On Max. This device comes with a display of 5.7 inches Full HD and is loaded with Android Nougat 7. Samsung Galaxy On Max is having a launch price of Rs.16900 India. 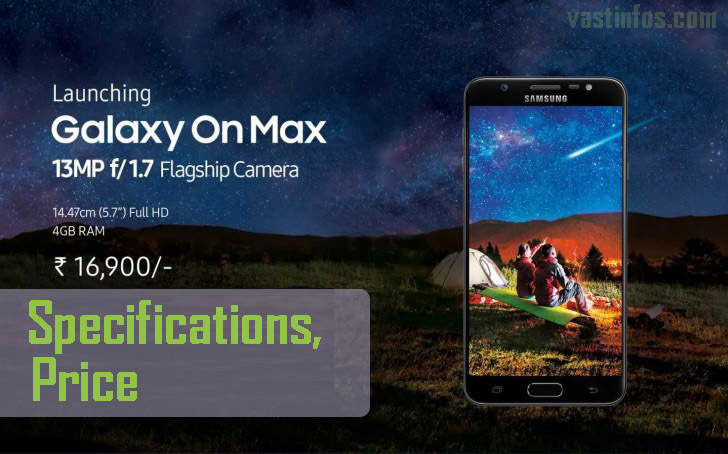 Galaxy On Max is exclusively available on Flipkart online shopping portal. Samsung Galaxy On Max is having a 13 MP rear camera and 13 MP front camera. The device is having a battery capacity of 3300 mAh.